What’s Sustainability Got to do With It? The pages of this Food Guide are filled with lists of producers from our local foodshed. People support these businesses and farms for many reasons such as they value a local food economy and care about their own health. Some people also choose to eat within their foodshed because they support farming practices that strive to be ecologically sustainable. 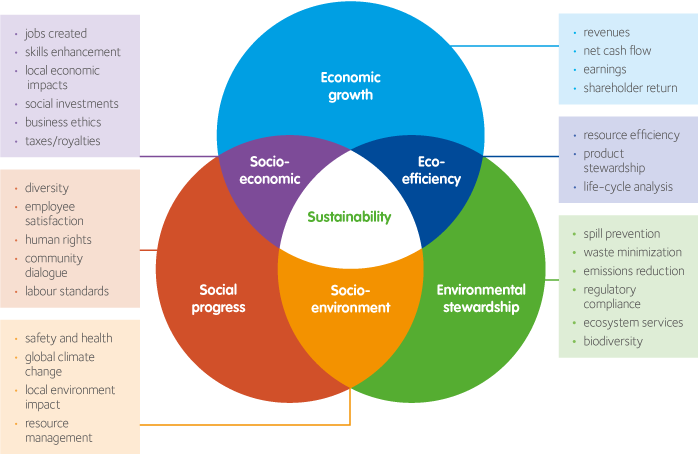 Which brings up some good questions -- What does it mean to be sustainable? Even more specifically, what does it mean to be ecologically sustainable? What does food have to do with the environment and why is this definition important? Two of the primary ways we interact with the natural world are by farming the land and eating the food it produces. As our human population has increased, so has our impact on the planet, where now 40% of the Earth’s land surface is used to grow food. Defining sustainability in terms of food provides a framework of understanding how our food choices impact the wider ecology of the planet. And yet, it can be joked that if you take a room of 500 people and ask them to define sustainability, you will get 500 different answers! This highlights the challenge of a widely-used term where ambiguity can lead to confusion or even misrepresentation. Furthermore, in discussing ecological sustainability two other important terms need to be explored: sustainable agriculture and multifunctionality. At its most basic level, sustainable agriculture supports environmental health, ecosystem services, economic profitability, and social/economic equity. To be more specific, the U.S. Code Title 7, Section 3103 defines sustainable agriculture as an integrated system of plant and animal production that will over the long term satisfy human food/fiber needs, enhance environmental quality and natural resources, efficiently use nonrenewable resources, integrate natural biological cycles where appropriate, sustain economic viability of farms and enhance the quality of life for farmers and the greater society. Bringing us back to the topic of local food, the vast majority is produced by small, regional farms and in 2016, small farms made up between 7%-10% of total US food production. Small farms are not automatically more sustainable, but these farmers are typically more committed to land stewardship and their farms tend to be multifunctional, growing different types of food products. Agricultural economist John Ikerd argues that it is the multifunctionality of small farms that makes them sustainable. When a farm raises a variety of animals and crops it more closely mimics the diversity of healthy natural ecosystems and thus operates more sustainably. Large farms are not unsustainable because of their size, but because they are monofunctional, growing only one product and thus out of balance. Ikerd contends that in order to be sustainable, large-scale monocrop farms would need to be divided and operated as multifunctional small farms. Agriculture is often described in terms of yields, supply, demand and commoditization. Sustainability asks us to consider changing our thinking about the purpose of agriculture. Is maximizing productivity its only goal? Could there be more to this significant intersection of humans and nature? Perhaps the act of farming, of both cultivating and caring for the Earth, is just as important as the outcome. By supporting sustainable agriculture, we can protect the environment, improve economic conditions of farmers and communities, and feed ourselves, while also ensuring the food needs of future generations will be met. What can you do to support sustainable agriculture? Ikerd, J. (2016). Multifunctional small farms: Essential for agricultural sustainability and global food sovereignty. Livestock Research for Rural Development, 28(11), 1-8. Owens, J. (2005, December 9). Farming claims over half Earth’s land, new map shows. National Geographic News. Retrieved from http://news.nationalgeographic.com/news/2005/12/1209_051209_crops_map.html. Ramsey, J.L. (2015). On not defining sustainability. Journal of Agricultural Environmental Ethics, 28, 1075-1087. doi: 10.1007/s10806-015-9578-3. Thomson, P.B. (2007). Agricultural sustainability: What it is and what it is not. International Journal of Agricultural Sustainability, 5(1), 5-16. Nicole Gunderman is excited about finding ways to support sustainable agriculture. She is an educator at Gorman Heritage Farm and a graduate student pursuing an MA in Biology. A native Cincinnatian, she lives in Clifton with her husband and son.